Billet Tray to hold case for reloading your ammunition. 50 Holes to suit caliber. 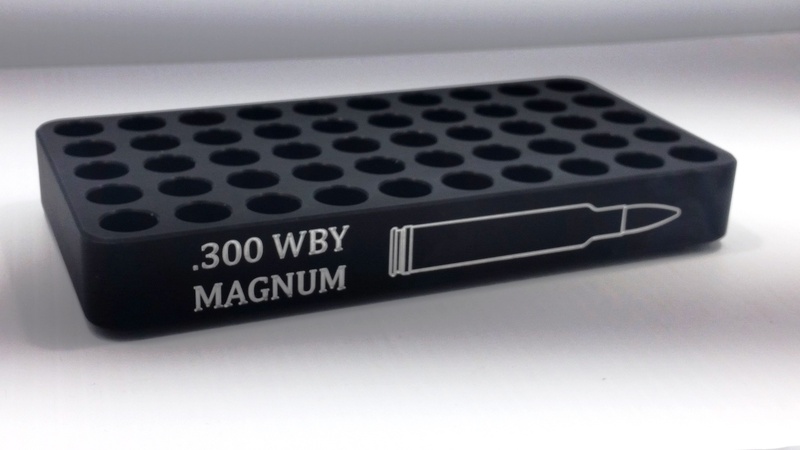 3D Engraved with caliber and full scale Silhouette of loaded cartridge. 4 x 3M brand Rubber Bumpons on base to grip table top.